For Sonja, the arrival of Akhmed and Havaa is an unwelcome surprise. Weary and overburdened, she has no desire to take on additional risk and responsibility. But over the course of five extraordinary days, Sonja's world will shift on its axis and reveal the intricate pattern of connections that weaves together the pasts of these three unlikely companions and unexpectedly decides their fate. 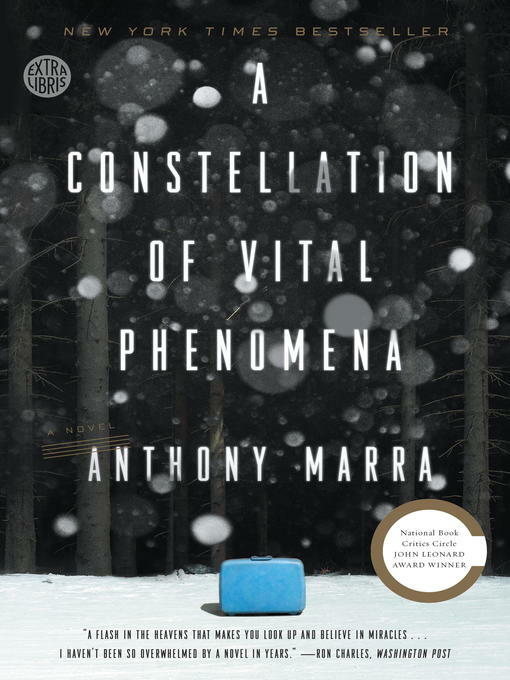 A story of the transcendent power of love in wartime, A Constellation of Vital Phenomena is a work of sweeping breadth, profound compassion, and lasting significance. Now with Extra Libris material, including a reader's guide and bonus content from the author.